Soft and Pink Lips is a natural desire of everyone because they not only enhance your facial beauty but also adds charm to your smile. Unfortunately, accumulation of dead skin cells, lack of moisture, lack of lip scrubbing, over exposure to UV Sun rays, excessive production of melanin (skin darkening pigment), dehydration and harsh terrestrial environmental conditions may steal the natural beauty of your lips and turn them into dark, dry and rough lips. People with dark, dry or chapped lips often spend a lot of money on commercial products including various lip balms and different chap sticks but usually don't get the desired results. If you really want naturally soft and pink lips then don't need to waste more money on chemically prepared commercial products and simply go with natural ways to modify your dark, dry or chapped lips into soft and rosy pinks lips. 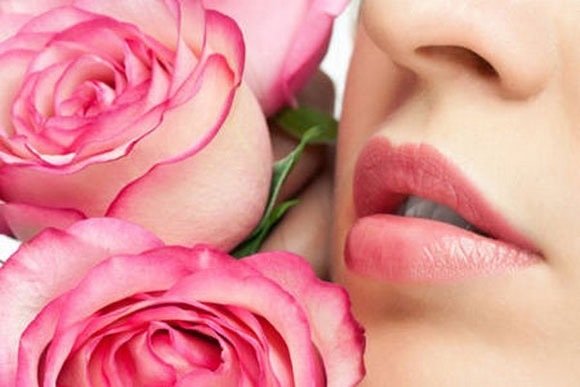 In the following lines we are going to discuss the best natural for soft and rosy pink lips. Let's have a look on them and restore the natural softness and rosy pink complexion of your lips. Honey is considered best for Soft and Pink Lips. It is also very helpful for cracked lips and provide them nature moisture. Apply honey before going to bed and it will give you luscious soft and smooth lips. You can also apply slightly warm ghee(oil) on your lips. Ghee(oil) also acts as natural balm and give you soft and pink lips.. Application of Tomato paste is an other great way to get soft and pink lips. Tomato Pate is a rich source of Vitamins C that helps a lot in getting rid of skin darkness. In addition, tomato contain many powerful antioxidants that fight against skin damaging free radicals. When you apply Tomato Juice on your lips, it not only helps in further damage of of skin cells, but also help to rejuvenation of your skin cells and give you glowing pink Lips. Apply some tomato paste on your lips and leave this for 15 minutes. Finally rinse off with fresh water. For best results, repeat this process on a daily basis. If You have dark lips then apply lemon juice on your lips it will reduce the darkness and will give your lips lighter colour. Apply lemon juice at least for 15 minutes and then rinse off with fresh water. After this you can also apply Rose water on your lips to make them soft and Pink. Deeply moisturising properties of honey and skin lightening properties of lemon, both combine together to turn dark and dry lips into soft and rosy pink lips. Mix Few drops of lemon juice with honey and apply this mixture on your lips for 10-15 minutes. Regular application will show you best results within few days. Crush 4-5 petals of red rose and coat the paste on the lips. Apart from pink glow, it will also give smoothness to the lips. Apply every day, 2-3 times. You can make a lip balm too, by mixing crushed rose petals with milk cream. Mix it thoroughly and apply it on the lips for 15-20 minutes and then wash it off. You will get soft, smooth and pink lips. Grind some Rose petals and make a mixture with some glycerin and apply this paste on your lips to get smooth and pink lips. For best results apply this mixture before going to bed. Applying Beetroot(chuqandar) juice is the best way to make your lips pink. It works like wonder. Grind beetroot in mixer, after washing it thoroughly, and strain the juice. Keep it in fridge. Apply it on the lips for twenty minutes, 3-4 times a day, and then wash it off. If you want to go natural, you can put this juice on lips before you go out. It will work as a lipstick and will work wonder on your lips as well. If you have dry and cracked lips then rub a piece of cucumber on your lips, it will heal your lips and make them soft and smooth. Application of butter is also very effective to get soft and pink lips. For best results apply pure butter before going to bed. Besides giving you soft and pink lips, Butter is also very helpful in lightening your dark lips. To get soft and pink lips, make a paste by grinding 2 almond with rose water and then add few drops of lemon juice in it. Apply this mixture on your lips for 15-20 minutes and then rinse off. This natural remedy not only reduces the darkness of lips but also give you soft and pink lips naturally. Coconut milk is also very effective to give you soft and pink lips naturally. Squeeze out the milk from the coconut and apply on your lips before going to bed. A mixture of Pomegranate seeds and milk cream is very helpful to give your lips a natural red glow and make them more fuller and redder. Crush some pomegranate seeds and mix with some milk cream and apply this past on your lips for 15-20 minutes and then rinse off with fresh water. A mixture of raspberries, aloe vera juice and honey is considered very effective to make your lips soft and pink. Take one raspberry, crush it and mix with half teaspoon of aloe vera juice and 1/4 teaspoon of honey. Apply this mixture on your lips at least for 20 minutes and then rinse off. Lips exfoliation at least once a week is also very important to give you soft and pink lips. Take 1 tablespoon of white sugar and 1/2 tablespoon of olive oil. Mix them until it become a thick coarse paste then apply on lips with help of tooth brush. Now gently rub your lips for 1-2 minutes then leave for 5 minutes and then rinse off with lukewarm water. (i) Avoid smoking because it can reduce the natural pink colour and may turn your pink lips into dull, dry and dark lips. (ii) Before going out in sun, don't forget to apply a good lip balm containing SFP-15 to block UV sun rays. This will prevent your lips from darkening due to exposure to the sun’s harmful rays. (iii) Don't lick your lips. Although It is very common that if your lips feel dry, you lick them but this will make it worse. It can actually cause your lips to become more dull and dry. (iv) Always remove Lipstick before going to bed and apply good Lip balm or any natural oil on your lips to give them moisture. (v) Stay well hydrated and drink at least 8-10 glasses of water on a daily basis to prevent dehydration. Water not only remove toxins from body but also helps a lot to give you luscious pink lip.